We have SSRS that is Sharepoint integrated. 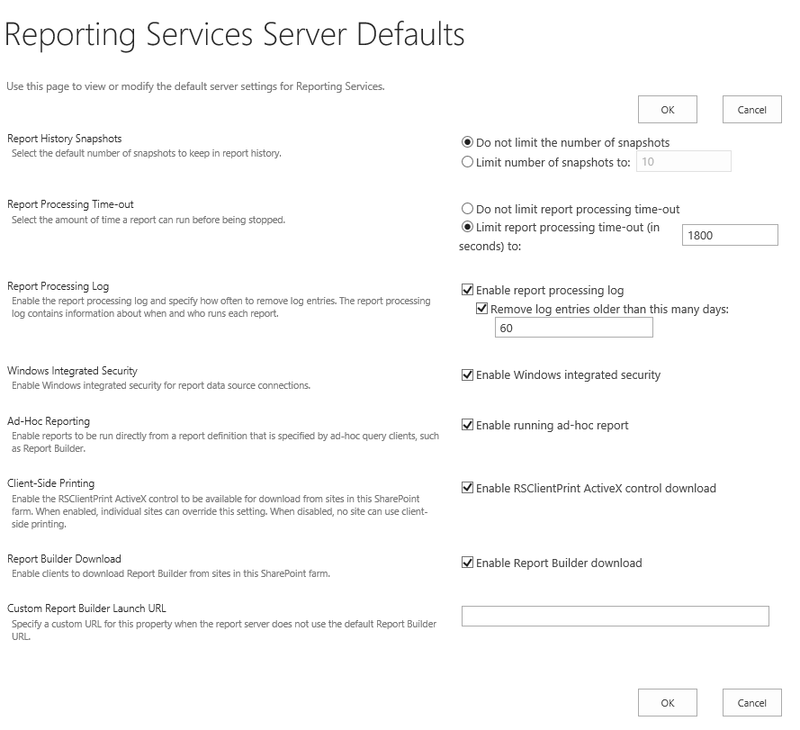 We have report builder downloadable from our sharepoint server as well when users modify rdl reports. We have one client that is able to open reports in report builder on a particular site, but when he goes to another site, report builder install pops out and install again as if he does not have report builder installed yet and it errors out (error below) saying that an application with the same identity is already installed. Im not sure why it would install report build again when he opens the reports on this particular subsite/s. Im not sure where i could change this particular settings. Can you guide me on where this settings needs to be changed and corrected? I attached a screenshot on the closest i can get to this issue. Do we need to specify a custom report builder launch URL to fix the issue? APPLICATION SUMMARY * Online only application. * Trust url parameter is set. ERROR SUMMARY Below is a summary of the errors, details of these errors are listed later in the log. * Activation of http://sharepointserver/site/subsite/_vti_bin/ReportBuilder/ReportBuilder_3_0_0_0.application?ReportPath=http%3a%2f%2fsharepointserver%2fsite%2fsubsite%2fReport+Library%2fFTPM+Reports%2fTarget_WaterfallVertical.rdl resulted in exception. Following failure messages were detected: + Unable to install this application because an application with the same identity is already installed. To install this application, either modify the manifest version for this application or uninstall the preexisting application. COMPONENT STORE TRANSACTION FAILURE SUMMARY No transaction error was detected. WARNINGS There were no warnings during this operation. OPERATION PROGRESS STATUS * [9/14/2018 4:10:36 PM] : Activation of http://sharepointserver/site/subsite/_vti_bin/ReportBuilder/ReportBuilder_3_0_0_0.application?ReportPath=http%3a%2f%2fsharepointserver%2fsite%2fsubsite%2fReport+Library%2fFTPM+Reports%2fTarget_WaterfallVertical.rdl has started. * [9/14/2018 4:10:36 PM] : Processing of deployment manifest has successfully completed. * [9/14/2018 4:10:36 PM] : Installation of the application has started. * [9/14/2018 4:10:40 PM] : Processing of application manifest has successfully completed. * [9/14/2018 4:10:41 PM] : Found compatible runtime version 4.0.30319. * [9/14/2018 4:10:41 PM] : Request of trust and detection of platform is complete. * [9/14/2018 4:10:57 PM] : Downloading of subscription dependencies is complete. * [9/14/2018 4:10:57 PM] : Commit of the downloaded application has started. COMPONENT STORE TRANSACTION DETAILS No transaction information is available. Browse other questions tagged sharepoint-server sharepoint-foundation sharepoint-addin reporting-services report-builder or ask your own question. How to Change the Web Application url for an existing webapp?